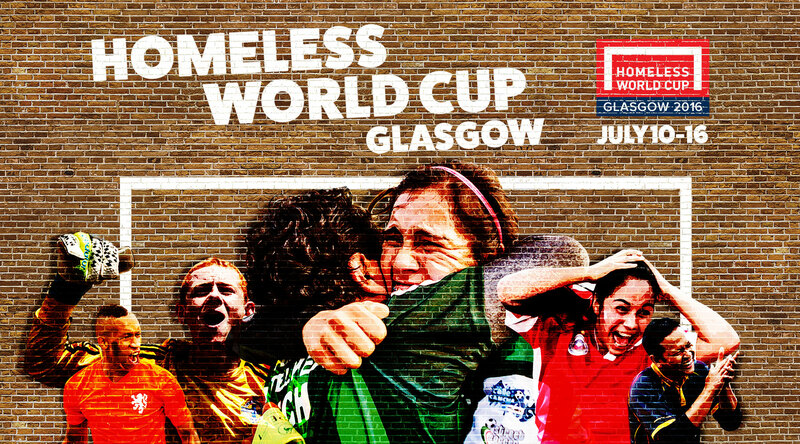 We’ve provided the creative direction and campaign messaging for the Homeless World Cup Glasgow 2016 which was held in the city’s George Square from 10-16 July. From humble beginnings in 2001, the Homeless World Cup and its partners now span the globe, with more than 70 countries taking part and more wanting to join. They touch the lives of 100,000 homeless people each year and make a significant change to the lives of many – all through the beautiful game of football.